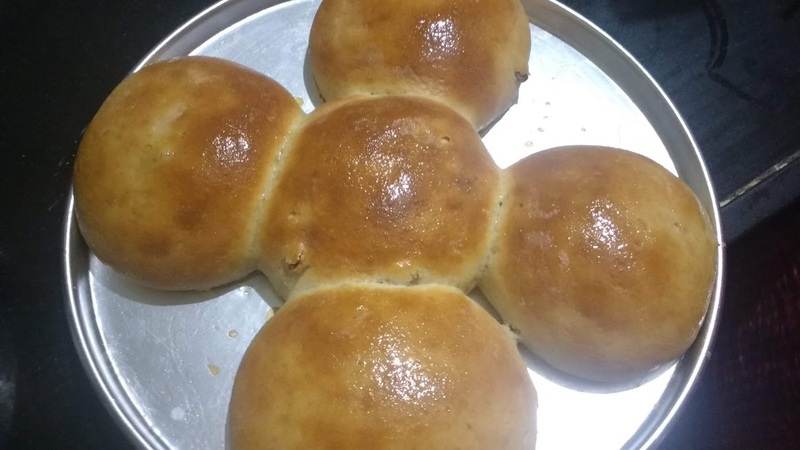 I have a very old and loving bond with sweet buns, thanks to Harvest Gold brand of North India. Well, as luck would have it, both my school and college were at different corners of the city. So, one way commuting used to take me atleast an hour. As both the places were very strict about entry timings, for a good 20 years of my life, I was always out of the house at 7 a.m. sharp, which meant often skipping breakfast. While mom would exercise her control during school days and hand me a dabba (tiiffin), college being IHM, no dabba was required. So I began to skip breakfast as well and always had the excuse of "who will carry the load" to answer my parents. But, parents being parents know how to have their way. So mom would often pack sandwiches in foil/tissue paper that I didn't have to carry till college. I could eat and discard the packing in any streetside dustbin. Then one day, when I went to buy milk with Papa, I spotted Harvest Gold sweet buns. While I asked Papa to buy me one just to try, I didn't know I would be hooked on to the taste for life! I remember until I was working in Delhi, when in hurry I would often buy a packet of sweet buns and have them for breakfast while on my way to college/work. Those days a packet of 2 buns came for just 10 bucks! Sadly, ever since I moved to Mumbai, I haven't had them. 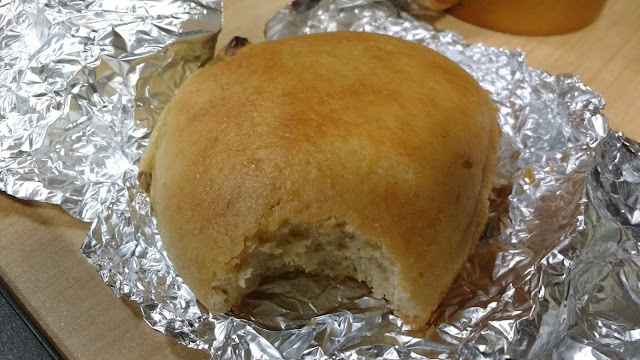 Often when in the morning rush, I miss my breakfast I sit on my desk and wonder, "Kaash Mumbai mein bhi Harvest Gold ke buns milte" (wish we got Harvest Gold buns in Mumbai). Then, few days ago when I was feeling lazy to prepare breakfast for Mr. Hubby, I again began to miss my sweet buns. 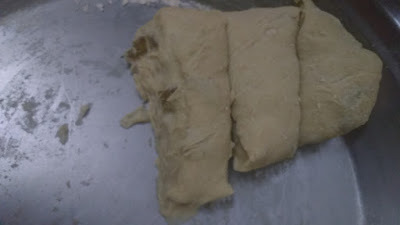 Bas, fir kya thha, after a quick google search, I went through a few recipes, tweaked a bit and voila! I had my very own sweet buns smiling at me from the baking tray! While most recipes used 100% All Purpose flour, I used a good amount of whole wheat flour. Also, few days ago I was shocked to know that the tooti frooti I had been loving all my life is actually raw papaya cooked in sugar syrup and coated with artificial colours! So, I used raisins and trust me, they give the buns a better flavour than tutti frutti. 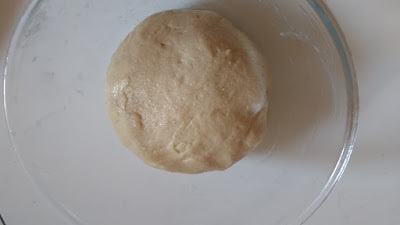 Most recipes I saw use milk powder however, I prefer to knead my buns with milk instead as the it gives an amazing flavour and softness to them. 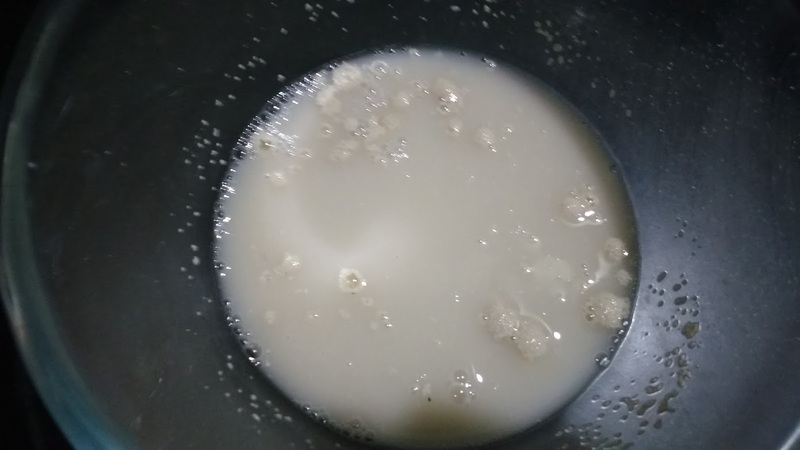 I also use only desi ghee as fat as I am partial to the goodness of Cow Ghee! 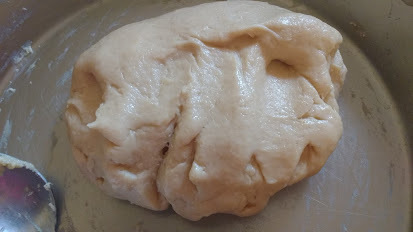 So, sharing the recipe for sweet buns, more so that I don't forget how I made them! 1. 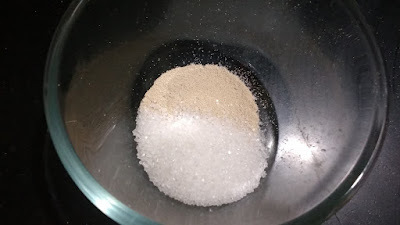 In a bowl, take the yeast, sugar and mix well. Add warm water and mix. 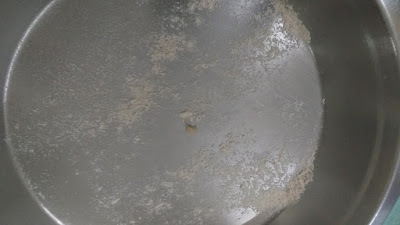 Cover and the let mixture rest undisturbed for 10 minutes for the yeast to be activated. 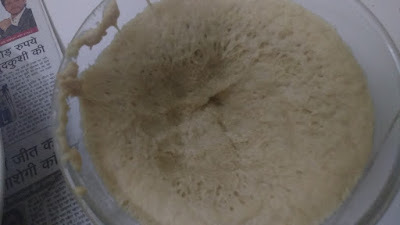 This is how the yeast looks after 10 minutes. 2. 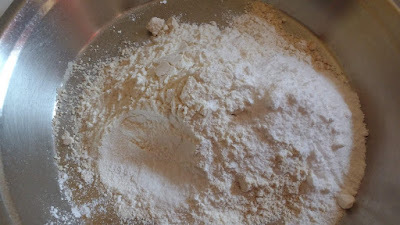 In a mixing bowl/Paraat, take the wholewheat flour, refined flour, powdered sugar, baking powder, salt and mix well. 3. 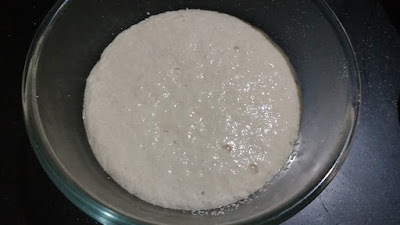 Add the activated yeast mixture. Now using warm milk, knead a soft dough. 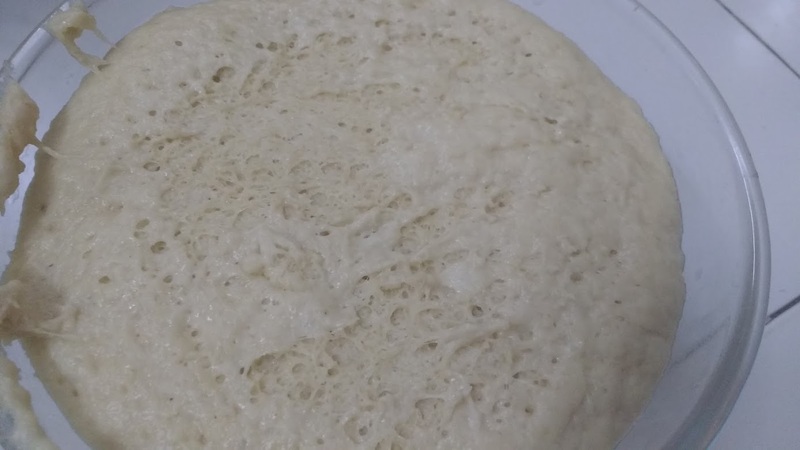 After you knead for 4-5 minutes the dough will start getting sticky. 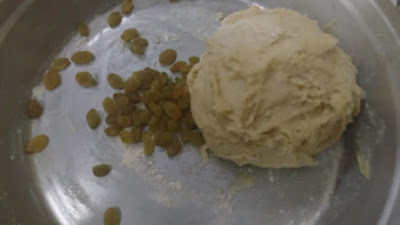 However, add the ghee to make things more manageable and knead well until the ghee gets absorbed in the dough making it soft and smooth. 4. Make an even ball of the dough by tucking all folds below and keep in a greased bowl for proving for one hour at a warm place. I use my switched off microwave to prove the dough. After one hour, the dough has risen beautifully. 5. Dust the worktop (I used the same Paraat that I used for kneading the dough) with some flour and gently knead and fold the bread for 1-2 minutes. 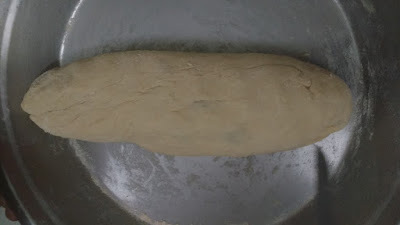 Add the raisins and knead into the dough. 6. 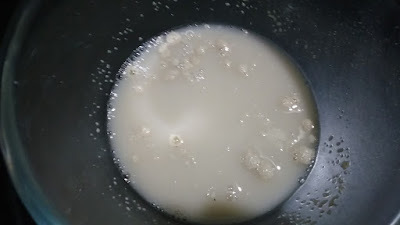 Make 5-6 balls of the mixture and keep for proving on a greased baking tray at a warm place for 30 minutes. 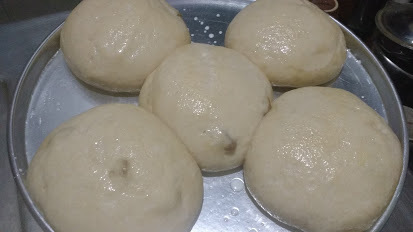 This is how the buns look after second proving. 7. Brush with milk and bake in a pre heated convection oven at 200 degree Celsius for 20 minutes. Here are the buns smiling at me from the baking tray! 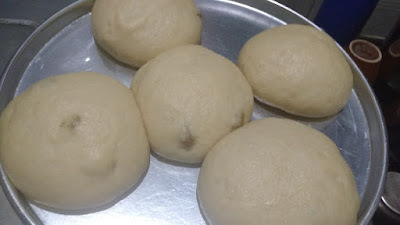 These buns make up for excellent and filling breakfast on the go and even taste super yum as bun maska during teatime.